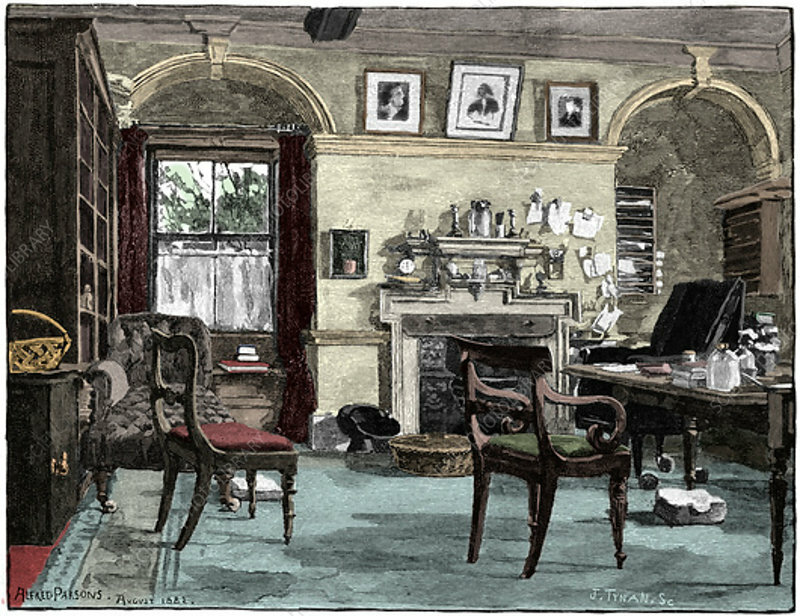 Darwin's study at Down House, his home near Beckenham, Kent, 1883. Darwin (1809-1882) was employed as naturalist on HMS Beagle from 1831-1836. He first made his name as a geologist, but is remembered for his momentous contributions to biology - primarily his demonstration that evolution has occurred and his discovery of the principle of natural selection of heritable variation as the cause of evolution. His famous book Origin of Species was published in 1859.